Fred Francis has seen it all; from the Arab street to the teeming jungles of Central America; from the corridors of Pentagon power to the U.S. embassy held hostage in Iran. Few journalists today have covered as many wars, tracked the shadowy global footprints of terrorism, interviewed the likes of Arafat, Qaddafi, Sharon and Karzai and traveled with five American presidents. With war clouds looming, two months before the invasion of Iraq, the CIA and U-S Special Forces had completed the infiltration of agents, warriors and assets into that country. So did NBC, secretly basing Fred Francis 10 miles from Iraqi front lines. 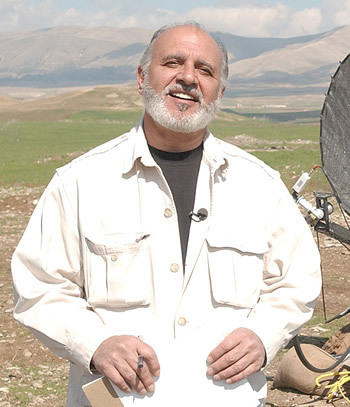 In January, 2003, in a bold move unmatched by any other worldwide broadcast news operation, Francis, as a senior correspondent for NBC News, covertly slipped into Northern Iraq from the mountains of Iran, with a five man news crew. By the time the war began, Francis had assembled a team of fifteen journalists, armed guards, drivers and translators. His primary contact then was a long-time source, Kurdish guerrilla leader Jalal Talabani, who today is the president of Iraq. For most of his 30 years at NBC News, Francis focused on national security, military and diplomatic issues. He has been a staple of the NBC News with Tom Brokaw, the TODAY show, DATELINE and MSNBC, serving as a White House correspondent. After the 9-11 attacks, he joined NBCís Terrorism Task Force, and in three months, reported from Washington, Islamabad, Hamburg, London, Damascus and Tel Aviv. Francis was NBCís principal reporter during the 1991 Gulf war, consistently breaking stories from the Pentagon. After the war, Francis worked for three years as the senior correspondent for Dateline NBC, before returning to daily news. In his early years at NBC, he served as a correspondent in Latin America, Central Europe and the U-S State department. During a distinguished career of almost four decades, Francis has covered every major crisis involving U-S policy and troops. After more than two decades based in Washington D.C., Francis, building on his sources in the military, the intelligence community and in foreign capitals, was acknowledged as one of the networkís primary experts on terrorism, the Middle East, U.S. Force projection abroad and Homeland Securityís border problems. He has won the coveted Columbia University-DuPont award and has been twice awarded a national news Emmy. Since his retirement from NBC News this year, Francis has lectured across the country, and is a consultant for NASA. He lives with his wife of 38 years in Reston, Virginia.